GeekFest Film Fests are the 1st and ONLY traveling Geek Genre Film Festival bringing the best in genre programming to Comic Conventions around the country. This one of a kind event is unlike any film festival you've ever experienced! Selections travel the country to some of the biggest comic cons and compete against one another at every event! In 2015 GeekFest Film Fests plan is to travel to between 5 and 10 conventions across the United States screening the best Science Fiction, Fantasy, Horror, Action, Superhero, Pop Culture, Fan Films, and Fandom Related genre. Entries Open to Filmmakers WORLDWIDE! GeekFest Film Fests accepts Features, Documentaries, Shorts, Web Series, Trailers, Fan Films and Music Videos. Selections of GeekFest are programmed at multiple cons, and are offered opportunities unlike any film festival in the world for ONE ENTRY FEE! Filmmakers are also invited to take part in the screenings, Panels and at select Cons, space on the exhibition floor for the entire run of the convention. All submissions to GeekFest Film Fests are considered for online distribution on Stan Lee's World of Heroes. Each TOUR stop we'll be awarding Best Locally Produced Selection, so if you're a Geek Filmmaker from Los Angeles, Arizona, Philadelphia, New Jersey, New York, or Florida, you have an additional opportunity to screen in front of your hometown audiences! GeekFest is the first and ONLY traveling geek genre film festival programmed at your favorite pop culture conventions. 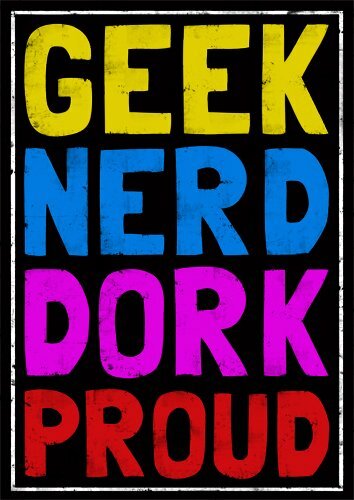 With potential of 100,000's of audience and thousands in prizes at every GeekFest. It's the only geek event that awards its winners with additional screenings across the country at your favorite indie pop culture conventions. Geekfest is produced by FirstGlance Films. A film festival production company that has produced 32 festivals to date and has been named 5 times by Moviemaker Magazine as one of the "Top 25 Film Festival Investments" and "Philly's Slamdance", "One of the Premiere Events for indie filmmakers and indie film lovers" by Philadelphia Weekly. Get your film seen by Geeks Nationwide on the Big Screen! GeekFest is the LARGEST film festival for geek content as FirstGlance Films prides itself in producing amazing indie events for the past 18 years. With its track record and reputation, the best geek genre content is being called on to create an amazing experience for both filmmaker, creators and attendees of the events, all across the United States. 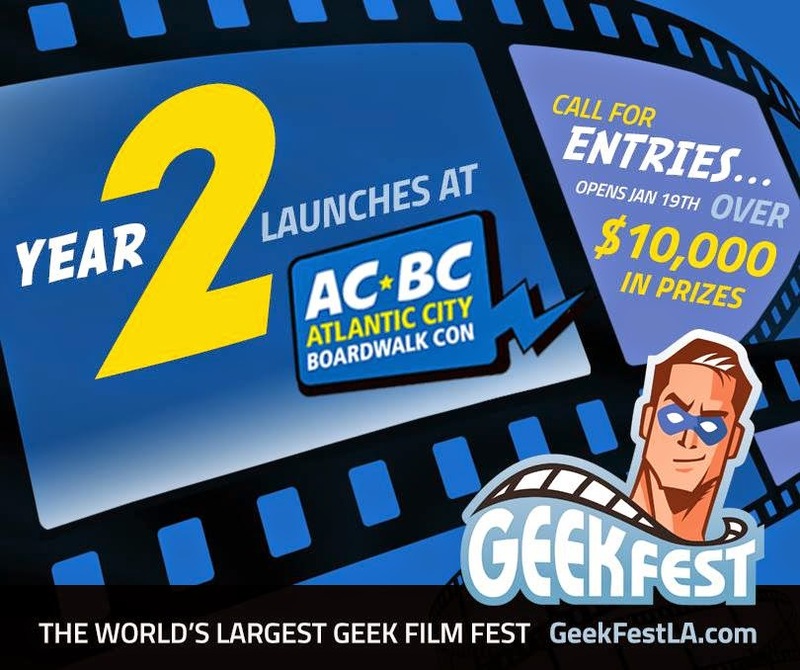 $10,000's in prizes will be awarded in Year 2 to the Best Geek Film at the GeekFest Film Fests! Boris FX, Funko Toys, Fanboy Comics, HeroCrate, Beachtek, TYLT, Graphic Lab Tees, SuperHeroStuff, Valiant Comics, Coscards, Top Cow, ShotLister APP, and more! All official selections will be notified of acceptance by E-mail. (Make sure your email address is current) Accepted projects cannot be publicly exhibited within a 50 mile radius of the convention area at any time within a one-month period of the event start date either at a film festival or pop culture convention. If this occurs, GeekFest has the right to refuse exhibition at that specific con. After acceptance of projects, the entrant is free to publicize his/her work to any and all media she/he deems necessary. Please notify GeekFest of any media support you receive. The undersigned entrant shall release, discharge, indemnify and hold harmless FirstGlance Films, GeekFest and its agents, respective officers, directors, employees, representatives, contractors, partners, sponsors, and volunteers from and against any and all claims, liabilities, losses, damages, costs and expenses (including, without limitations, attorneys' fees). The undersigned entrant authorizes GeekFest to promote the entry in part for any marketing or publicity purpose prior to, during, and after the competition. You agree to be bound by these guidelines and the decisions of the judges, which are final and binding in all respects and to waive any right to claim ambiguity in the contest or the rules. The signature of applicant constitutes that the entrants information is true and correct and agrees to all competition rules and guidelines. Official Selections: A DVD or BluRay screener will be required for film to be screened at venues. Must be NTSC format and check your DVD before sending to guarantee playability.